This formula works to hydrate and soothe the sensitive and delicate area surrounding the eye. It is a unique hydrogel specially created to reduce signs of skin maturing, dark circles and redness around the eye. It decreases irritation and aims to protect against the harmful effects from UV radiations. Natural source of energy for the skin – rich content of mineral salts playing a role in restoring intracellular potassium ion concentration and extracellular calcium ions, with lasting effect on skin hydration. Vegetable origin proteins complex that improves the hemodynamics and blood microcirculation, Attenuates the proteolytic break of the collagen-elastin matrix, reduces the action of free radicals. Within the connective tissue it plays the role to fill the spaces between collagen, elastin fibers and cells, being particularly responsible for the viscoelastic characteristics of the tissue. Its hydrophilic characteristics determine water fixation on the skin surface and helps to preserve the main characteristics of young and healthy epidermis such as softness, elasticity and tonus. Play a role in stimulating microcirculation, soothing and moisturizing. Use this product daily in the morning and in the evening. Apply the gel to clean skin once contact is made with sunlight, at first signs of aging or any other forms of stress. 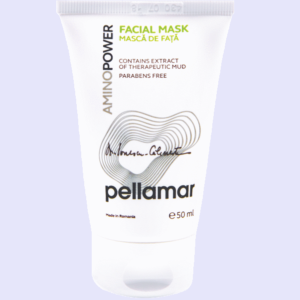 I have been using it for almost a year (is the second already ) and I am quite pleased with the product, at first I was a bit reticent, but after 2 weeks of use the results began to appear. I am 29 years old and a very sensitive skin especially around my eyes, I began to use creams to make eye contours and more of all tears in joy …. I was skeptical a little when I bought this contour cream, but I can say it’s sensational, leaves the skin very light, fresh and gets into the skin quite quickly. Recommended! After a long time of searching, I finally found an eye contour cream that is for my skin. It has a light texture, it can be easily applied, it is recommended to those with sensitive skin and the quality-price ratio is ok.